That’s right! 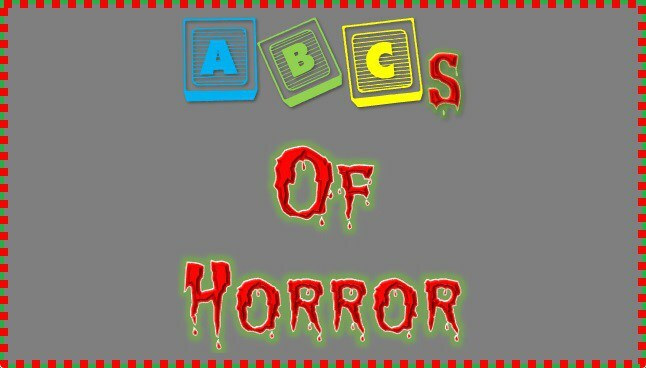 I’m back again with another shocking decision for my entries in The Horror Syndicate’s ABC’s of Horror. You were probably reading the title like, “Oh, A Nightmare on Elm Street, yeah, DUH, of course that’s the pick for N…wait does that say 2010?”. That’s right, I’m writing about the 2010 remake that is loathed by many, instead of the beloved original. As is the case with many other remakes, horror and not, the majority of people seem to really hate this movie. I’ve probably watched a large number of these remakes prior to seeing the original films, due of my age, and when the movies were released, but this wasn’t the case with Nightmare. Whenever I watched the remake of A Nightmare on Elm Street, I had already seen, and loved, the original franchise. Of course, even though it is one of my favorites, there’s no denying that the way I love the franchise is completely different than how the fans that were actually alive to experience their releases love it, which probably plays a big role in why I don’t hate the remake. In fact, I actually love it. I’ve seen people hate on the remake for pretty much any reason you can think of, so I’m not sure which of those is the main complaint from the horror fandom. I haven’t seen this movie in years, so my views on it may very well change the next time I watch it, but as of today, the only complaint I do agree with is that Freddy Krueger looks weird, which isn’t a big enough thing to ruin the whole movie for me. Even though the remake does take some scenes right out of the original, and put them in this movie, I think as a whole they are two completely different movies, and I love them both. To 14 year old me, the 2010 version of A Nightmare on Elm Street was actually scary, unlike the original. It’s what I’d imagined the original to be like before I’d watched it for the first time. I avoided watching the Nightmare On Elm Street franchise for a long while, because I didn’t want to reoccurring nightmares about Freddy Krueger, how I had about Ghostface when I was younger. Even though I was way older, and interested in horror movies now, I was still worried about the movie being so scary and causing nightmares, which I assumed would be extremely terrifying, since you know, that’s what the movie is about. Finally though, I gave in, and watched the 1984 classic, fell in love with it, and to my surprise, didn’t find it scary at all. I’m not saying that if I saw the 2010 remake first that I would have had nightmares from it, that was never going to happen, and I was definitely just being a ridiculously anxious person about it, but I think it was certainly closer to my expectations of how scary the story would be. The fact that Kyle Gallner, who I fell in love with the year before in The Haunting in Connecticut, starred in the remake also contributed to my love for it. Overall, I think every remake is too harshly judged. The fact that people choose to make remakes over original content when there’s so many people that would die to have their story be told, is upsetting, yes, but once they’re actually all done and made, I think it’s dumb to dismiss them just because they are a remake. The cast and crew of these films put so much time into working on them, when they know that it’s incredibly hard to please people when it comes to remakes, that you should at least give the films a chance. I’ve seen people complain because a remake is too much like the original, and other people complain about the same movie because it’s too different from the original. I don’t even know how that’s possible, haha. You also have to keep in mind that remakes aren’t particularly made for the fans of originals, but are made to introduce the story to a new generation. The key to watching remakes is not thinking about it as a remake, because then you’ll always find something wrong with it. Although Annabelle isn’t a remake, it is based off of The Conjuring, which is based off of a true story, and I didn’t like the fact that the movie wasn’t about the true story of Annabelle, but I set that thought aside, and didn’t let that ruin the whole movie for me, which I actually quite enjoyed. Just because you dislike the movie doesn’t mean it’s a bad movie, just because I like the movie doesn’t mean it’s a good movie, but it is a movie that a ton of people put a lot of effort into making, and don’t deserve to have their work torn apart, and hated on like it’s a monster that destroyed everything you love. I’m sure people do feel that way about the 2010 Nightmare on Elm Street, and it’s version of Freddy Krueger, but it’s really not that serious. It’s just a movie. There’s no point in being rude when expressing your opinion about it. If you do keep an open mind, and still end up disliking the remake, good for you, that’s all I’m asking ( and probably the creators as well). Not everyone is going to like everything, and that’s okay, but if you don’t have anything nice to say, don’t say it at all, kiddos.